Enjoy understated elegance at your dinner table with this 30cm Burnished Gold fine bone china dinner plate. As part of our Burnished Gold collection, this bone china dinner plate brings a new level of luxurious finish to a beautifully sophisticated and contemporary design. 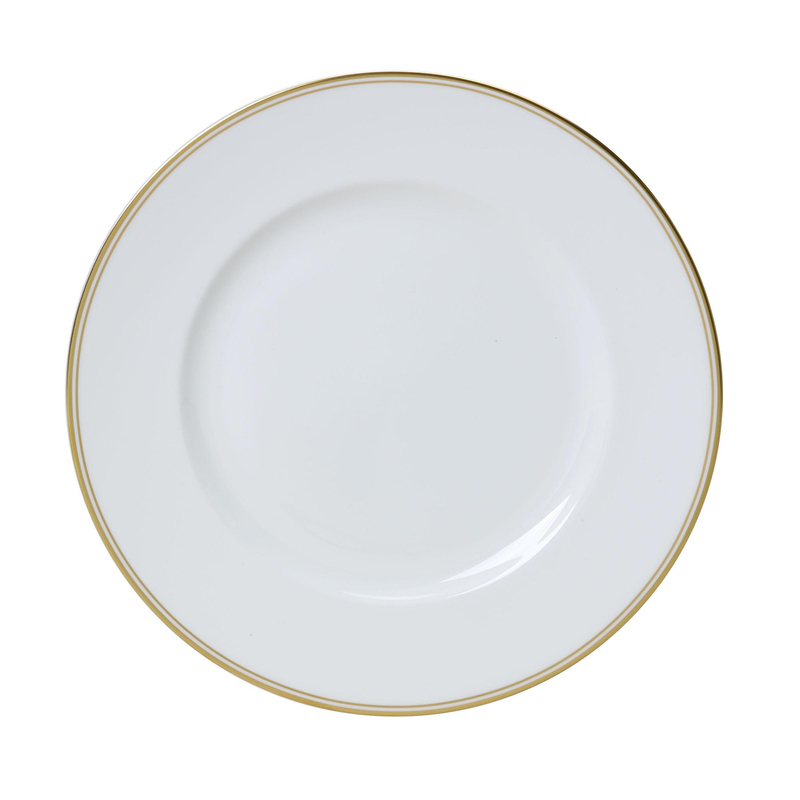 Enjoy understated elegance at your dinner table with this 27.5cm Burnished Gold fine bone china dinner plate. As part of our Burnished Gold collection, this bone china dinner plate brings a new level of luxurious finish to a beautifully sophisticated and contemporary design. Each 30cm fine bone china dinner plate is hand polished and the gorgeous gold edging is carefully positioned to ensure it's protected from everyday wear.